Deliciously messy! 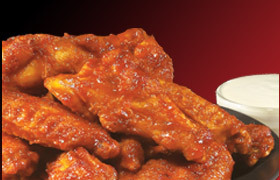 Choose your favorite flavor: Buffalo, Hot Vesuvius Buffalo, BBQ, Hot BBQ, Mango Habanero, Garlic or Garlic Romano. 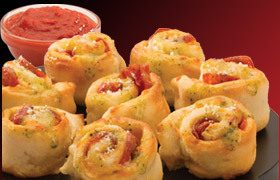 Comes with Ranch or Blue Cheese for dipping. 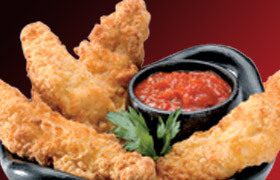 Breaded with flavorful herbs and oven baked, our boneless wings taste amazing with or without your favorite wing sauce, choices include: Buffalo, Hot Vesuvius Buffalo, BBQ, Hot BBQ, Mango Habanero, Garlic, Garlic Romano or Plain. 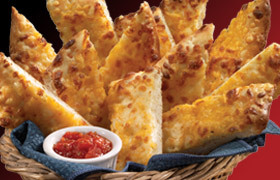 Comes with Ranch or Blue Cheese for dipping. 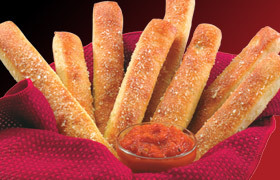 Breaded and baked to perfection. 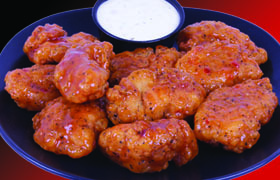 Served with your choice of dipping sauce: Buffalo, Hot Vesuvius Buffalo, BBQ, Hot BBQ, Mango Habanero, Garlic, Garlic Romano, Ranch, Blue Cheese or Honey Dijon Mustard. 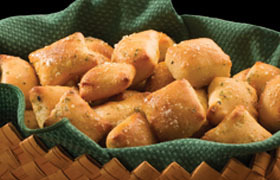 Our signature dough wrapped around your choice of filling, stuffed with mozzarella cheese, brushed with white garlic sauce and sprinkled with Pecorino Romano cheese. Served with marinara sauce. 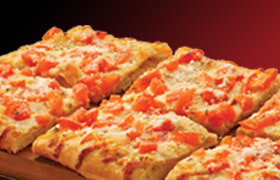 Choose from: Pepperoni, Spinach Mushroom, Bacon Cheddar or Garlic.